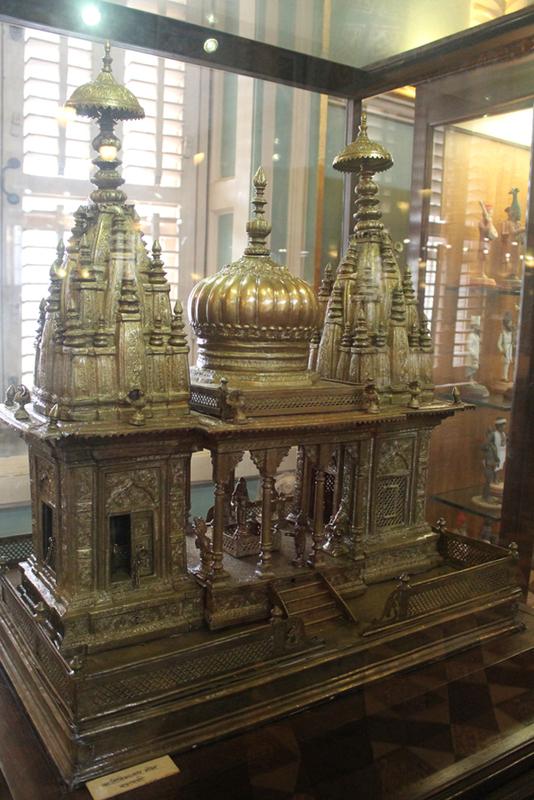 Brass miniature temple model encased in glass. 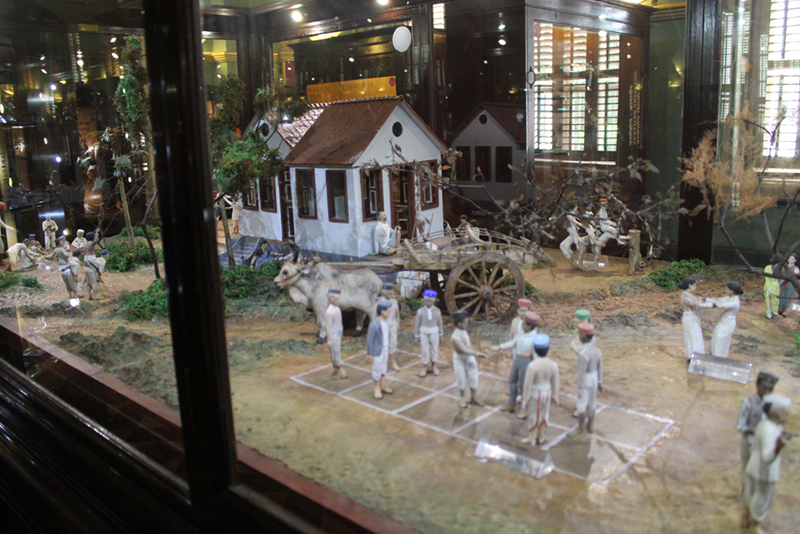 Diorama or miniature model of an Indian village and its daily life in the 19th century. 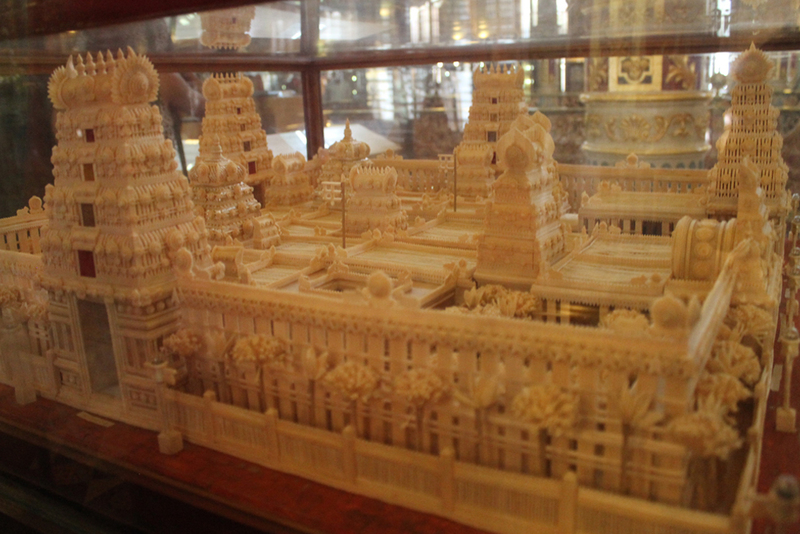 A model of a grand South Indian Hindu temple. 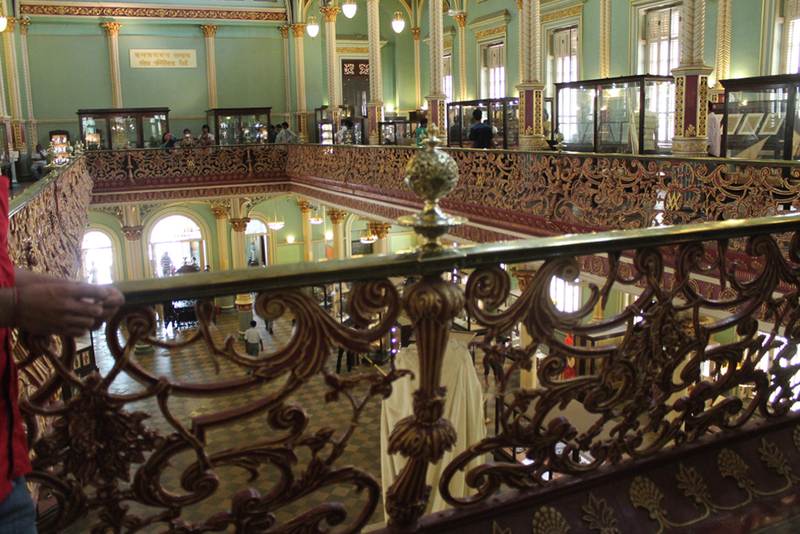 The railings on the first floor also have intricate design motifs on them. Museum first floor with pillars and hanging lamps. 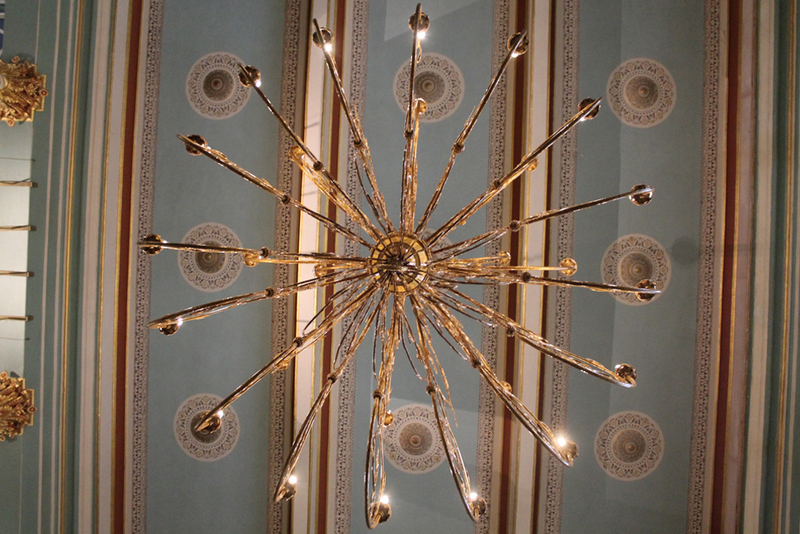 Chandelier on the museum ceiling. 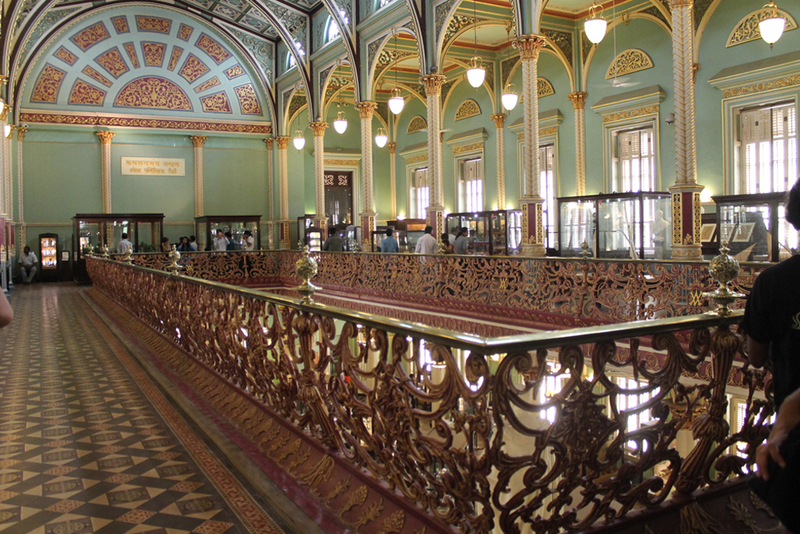 The Dr. Bhau Daji Lad Museum formerly known as the Victoria and Albert museum is the oldest museum in Mumbai. 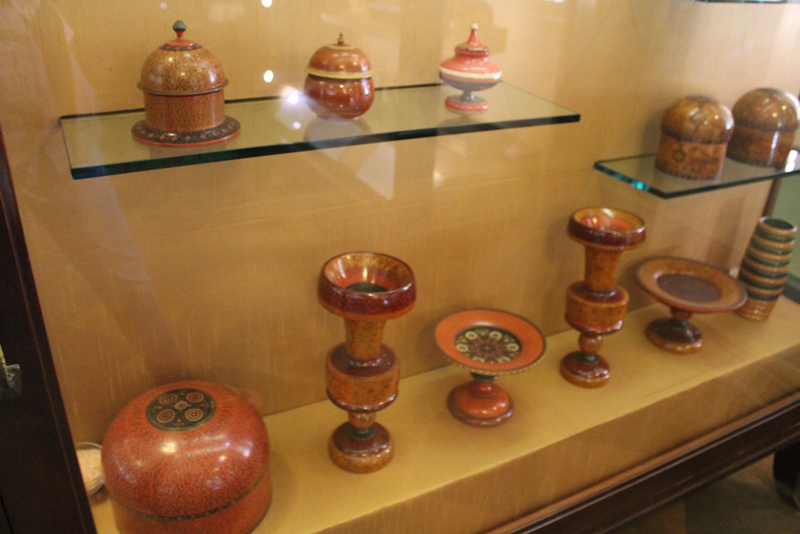 It was established in 1855 as a treasure house of the decorative and industrial arts and was later named in the honour of Bhau Daji. The building is magnificent with huge Victorian interiors. 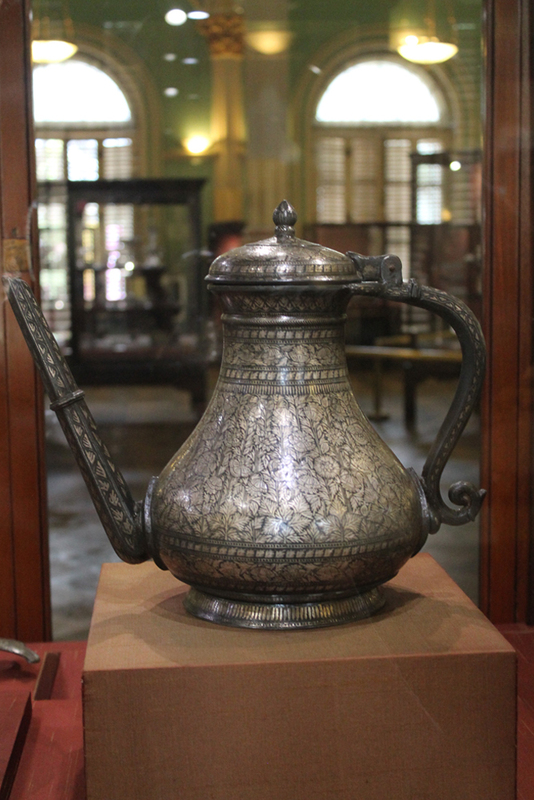 The museum houses large number of archaeological finds, maps and historical photographs of Mumbai, clay models, silver and copper ware and costumes. 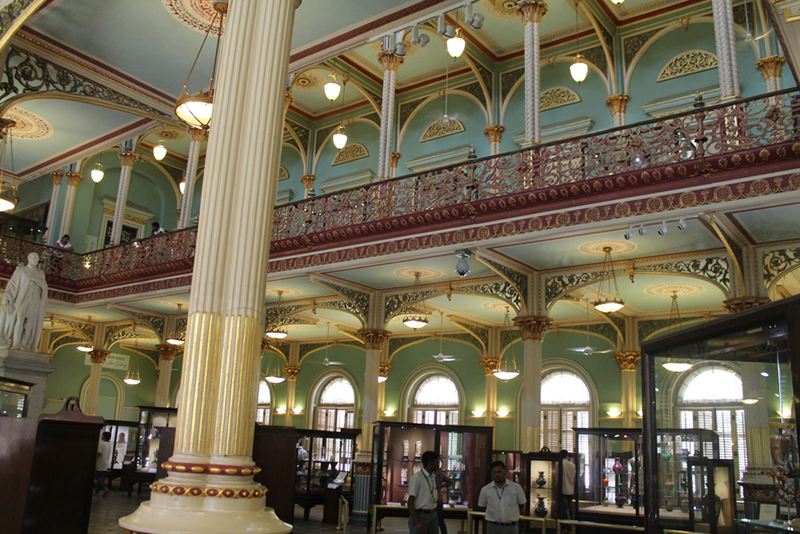 The building is very grand and beautiful with its colonial architecture and bright interiors. 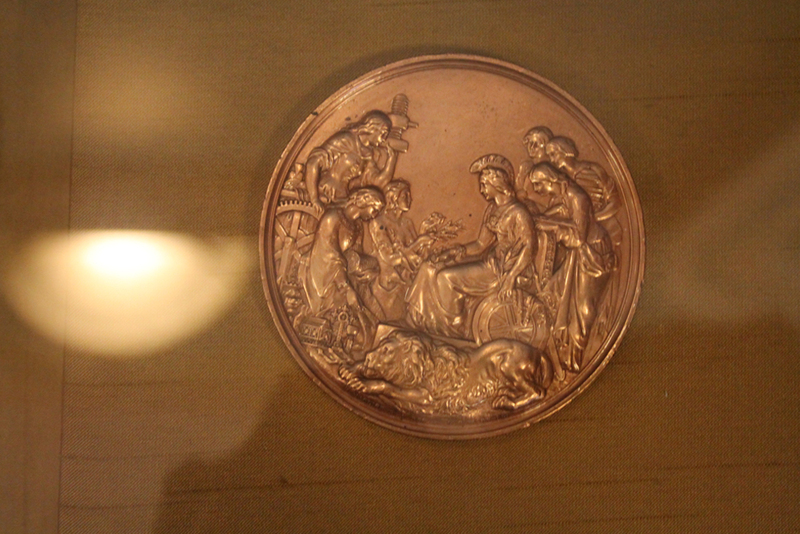 As photographic instruments were costly at that time, British people used to create these miniature models of Indian lifestyle and take them to England to showcase to the queen and her subjects about living in India. 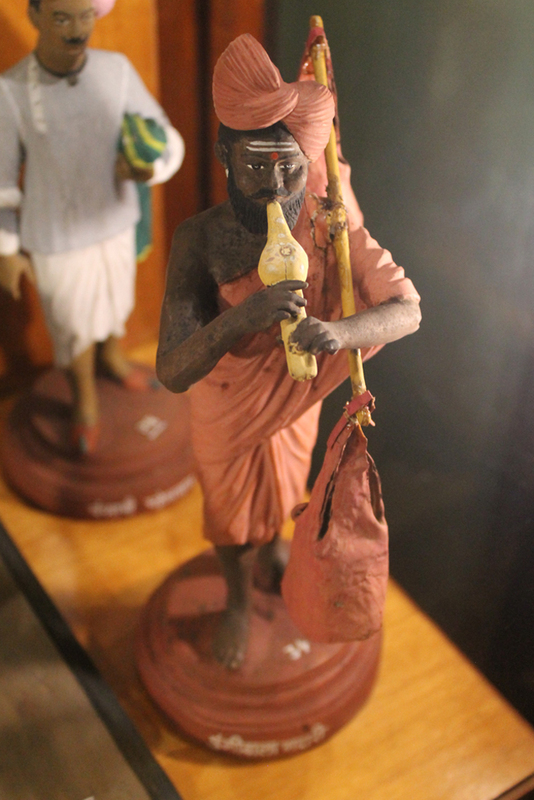 There are many dioramas or miniature model at display in the museum which depict the lifestyle of Indian people in the 19th century. 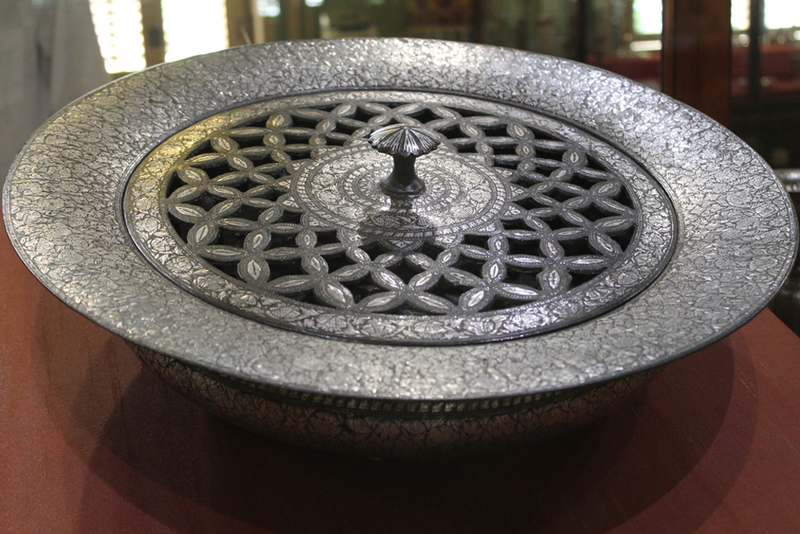 There are intricate artefacts made of brass for the European clients by then Indian artisans.